What does Pantone have to do with glass beadmaking? Colors! Every year they put out their Fashion Color Report for the spring and for the fall. This is published for fashion influencers and designers. I think us glass beadmakers could be categorized under “fashion influencers.” Emerald is the Color of the Year. 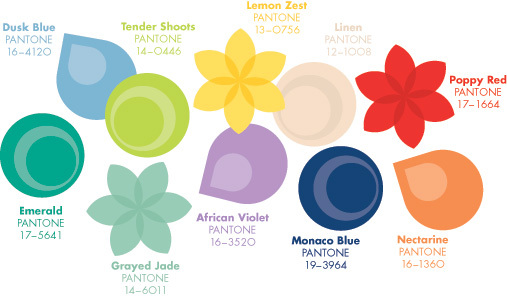 Below are the Pantone colors for Spring 2013 from pantone.com and emerald as color of the year 2013. 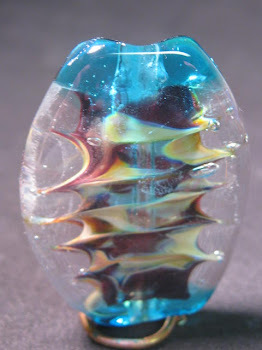 I always like to check out these colors to help influence what beads I make for my handmade glass bead jewelry. As noted above, each color has a number which is consistent wherever you see it (not with our glass rod color numbers though). So you may see much of the fashion world using emerald and the other Pantone colors in their designs. 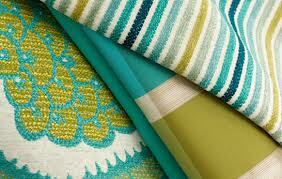 Below are some fabrics using emerald, taken from the pantone.com site. 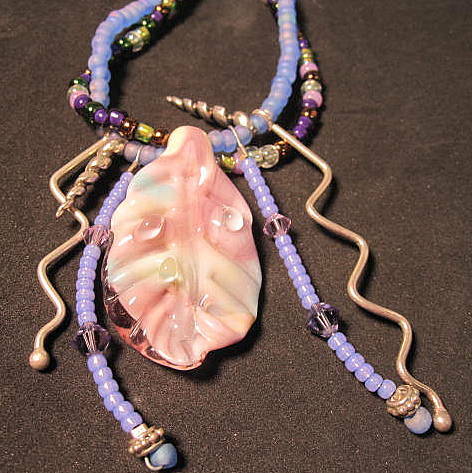 Glass beadmakers have a glass color palette to choose from for our designs. I pulled out some Effetre colors that I thought were similar to some of this spring’s colors. Colors: Medium lemon 591408, Green Petroleum 591218, Red Light Special 791428, Bright Acid Yellow 591416, Earth Cool Color 591688, Coral 591420, Sandstone 591285, Laguna 591630, Messy Grape Ape 511654 The colors don't show as well in my camera as what they are in person, but you get the idea. And here’s some of my finished bead jewelry that has some of these colors. 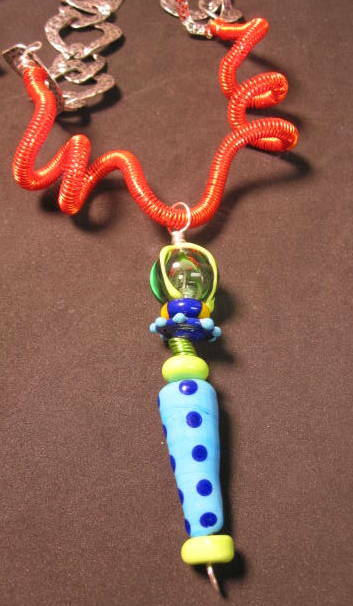 Check out the Fiesta Necklace on the sidebar - that has some of the spring colors in it also. See Fiesta Necklace on sale in my ETSY shop. Now I am going to see what beads I can make to coordinate some of the colors in the new spring palette. But first I have to work on business taxes……until next time. Ciao!